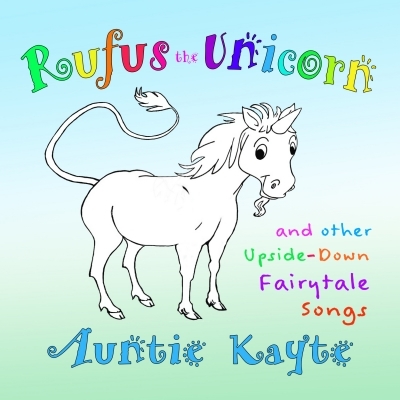 "Rufus the Unicorn and Other Upside-Down Fairytale Songs" is an uplifting collection of catchy original children's songs for kids 3 to 10 that plant seeds of self-confidence, creative thinking and social consciousness. Love this album. The songs are all light-hearted, very well performed, and suitable for young kids. Perfect for my daughter to listen to, she loves to sing. Cute songs. Great songs on this CD. Get it for your preschool classroom. The songs are well recorded. The CD cover art will get children to want to listen to this CD, so cute! The songs are very catchy and happy. They all have lyrics with great messages for young kids.